All flyfishermen experience the sort of days on loch or river when the fish throw all natural caution away and take whatever fly you happen to have on the end. However this is not the case most of the time. Making flies that catch fish on easy days is not difficult. Flies that tempt fish in calm clear water, deceive larger fish, work when standard wets fail are more of a challenge to design and tie. These flies are not the plastic real life flies seen elsewhere, these often look great to the eye but by and large they are imitations of dead insects. The Wild Flies Range attempt to create flies that look alive, some are quite abstract, all look better in the water than in the hand, but this is what we are after! All of these flies are tied on small light wire hooks, stronger than you might think but use with care if you are after larger fish. Some are tied on longer shank hooks that are great for catch and release. On all waters expect a rise to this kind of insect, tied to sit in the film it will also work when sunk. Use 12 to 14ft leaders with 2lb tippets. Expect sipping rises that look like small fish but sometimes aren't. First choice on any water, gink to fish as a full floater or leave untreated to sit in the film. 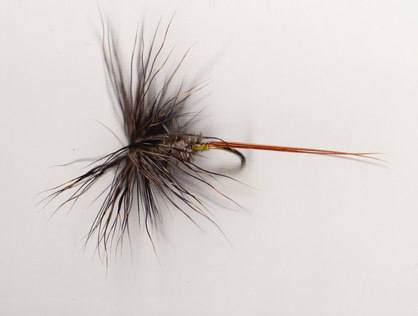 Lots of leggy midges and small daddies in the Hebrides make this messy looking fly essential. Fish dead drift, animate the fly by slightly lifting the rod tip. A lighter coloured tying to imitate those anoying little midges that are very common on any upland loch. Top pattern for the Highlands and Islands were our soggy landscape is perfect for the larva, and the wind gets them on the water pretty much right through the season. Smaller Daddies and related long legged Midges are on the water from March, the largest flies hatch in August and September. 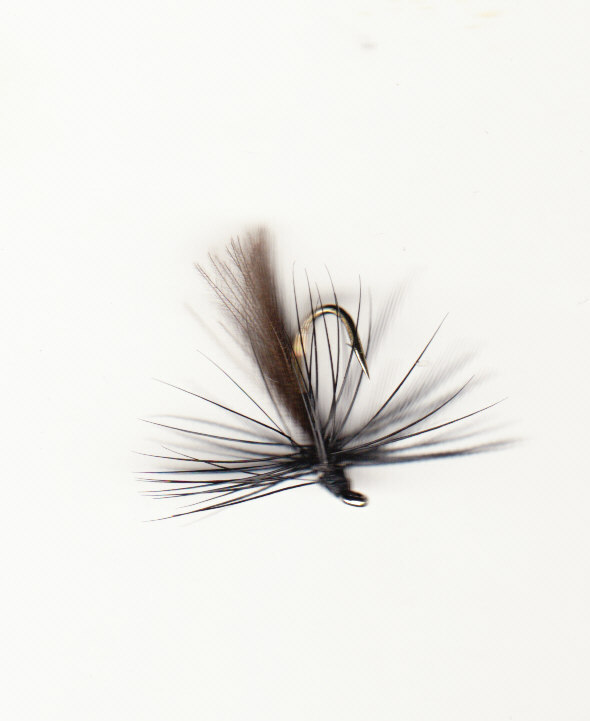 Simple wee fly that imitates a wide range of insects, ideal for fast water work and in the evening. It can be dead drifted or skated across the surface. Tied in seasonal colours. I would use this on any wild trout water, brown and sea trout will take it (I had a 3lb Grilse on one) fished fully dry or sat in the film. Forget the half finished look of this fly the fish do. One for the south. This natural looking fly will outfish any over dressed duck fly anytime. Tied in a range of sizes to imitate all upwinged Duns. This would be first choice on any water in a light ripple. Will tempt fish to rise even when there is no surface activity. be scared off by too much animation. The tying includes a CDC wing.